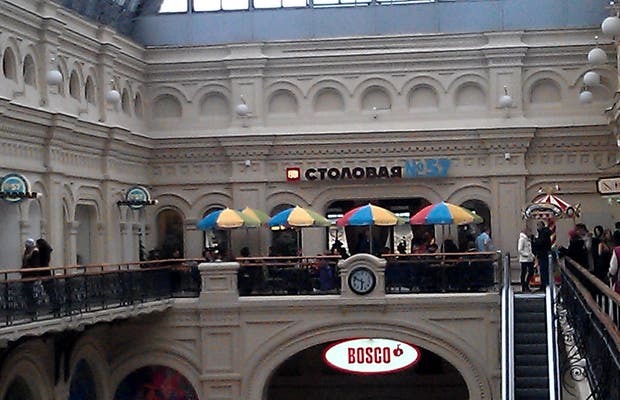 Stolovaya is perhaps one of the few places in this area where you can eat without spending a fortune. It offers Russian food, and you can try a little bit of everything. As always, they don't offer an English menu translation, but at least here you can see what you're eating. With an appetizer of caviar and salmon, a mixture of gelatin, a rice dish with mushrooms and cheese sauce, a kind of chicken croquette, stuffed bread and dessert we spent only 600 rubles. Get ready to fight for a table with a view! Unfortunately, there is no WiFi.